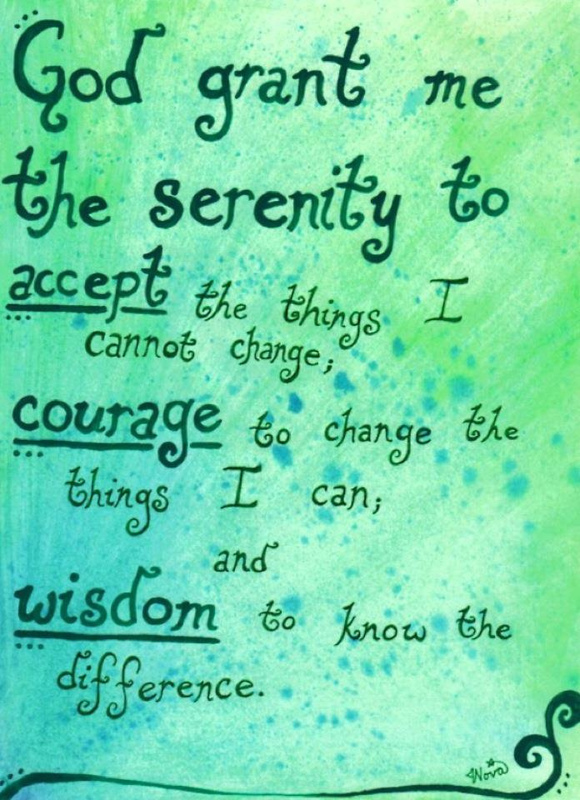 Many of you might be familiar with "The Serenity Prayer." It's used at places like Alcoholics Anonymous....but I believe it has its place in the chronic pain world...for those who believe in God, that is. There's a lot of wisdom here, about acceptance and guidance from above in when we're making decisions about life situations and how to address them.